This is the last of 20 posts about one of Ireland's "silent heroines" and "noblest daughters" - Eileen Ryan. 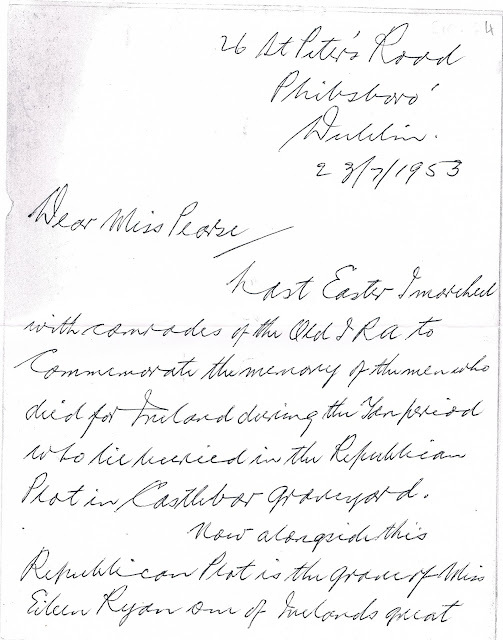 In the Kilmainham Goal Collection there is a letter written on 23rd July 1953 to the then Senator Margaret Pearse by Seán Collins, a former officer in the Old IRA. 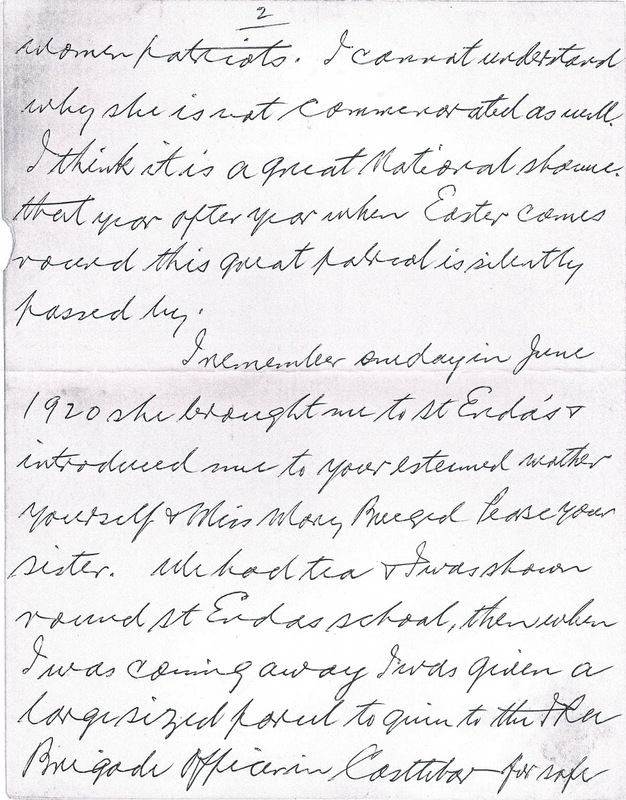 In it he comments on the lack of commemoration of Eileen as "one of Ireland's great women patriots". He thought it was a great "national shame" that at every Easter commemoration "this great patriot is silently passed by". 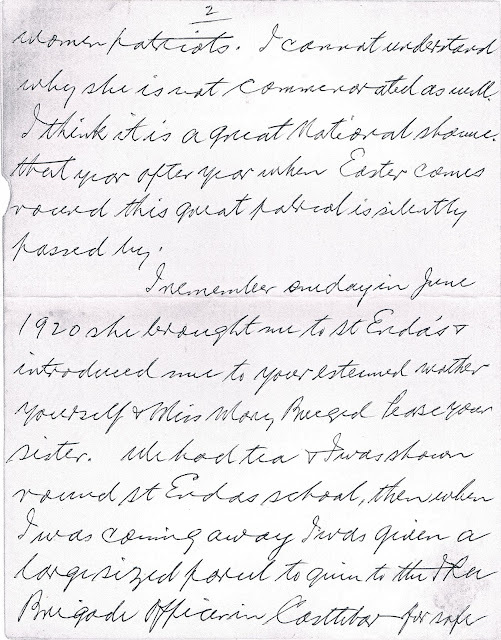 His reason for writing to Margaret Pearse (sister of Patrick and Willie) is probably given in the letter as he recounts a visit with Eileen to St Enda's School in 1920 for a tour. 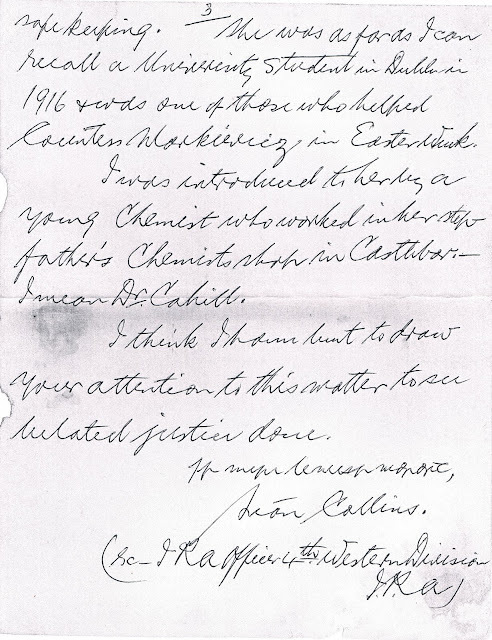 Collins recalls that Eileen was a "University student" at the time and that she was "one of those who helped Countess Markievicz in Easter Week". Finally in the letter, Collins hopes to see "belated justice done". 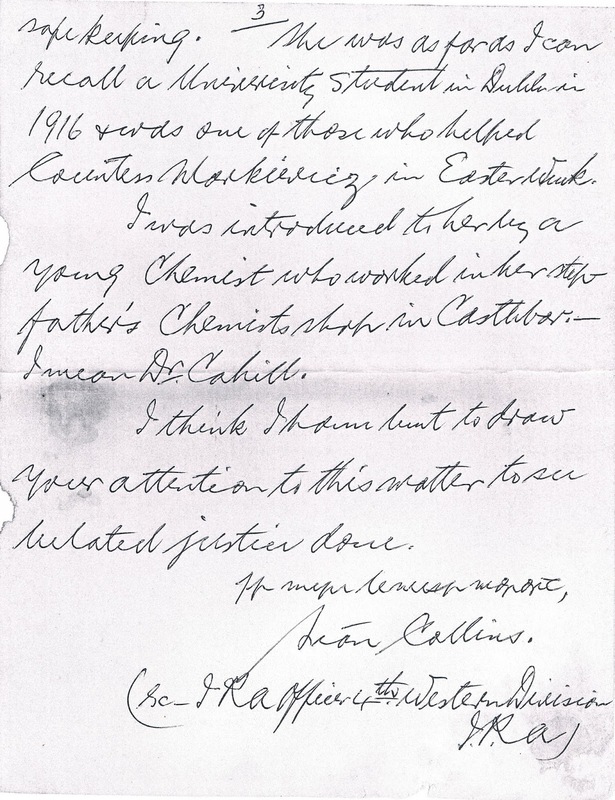 We only have a photocopy of this letter, the original is in Kilmainham Gaol. I don't know if Senator Margaret Pearse ever acted on Collins' plea or if any there was ever any commemoration for Eileen Ryan. She was an undoubted Nationalist though we know very little about her - some day her story may be told.